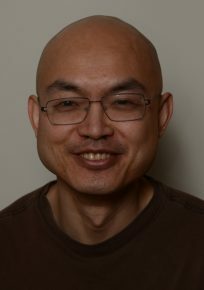 John Chu is a microprocessor architect by day, a writer, translator, and podcast narrator by night. His fiction has appeared or is forthcoming at Boston Review, Uncanny, Asimov’s Science Fiction, Clarkesworld, and Tor.com among other venues. His translations have been published or is forthcoming at Clarkesworld, The Big Book of SF and other venues. His story “The Water That Falls on You from Nowhere” won the 2014 Hugo Award for Best Short Story (available narrated by John himself at EscapePod). Most of his fiction is available on the web, and you can follow him on Twitter.